Owning an older home can provide you with a variety of benefits. Many homeowners love the character and history of their properties, yet some are unaware of the risks associated with older plumbing. Old, corroding pipes can create an unwanted situation where your home and your family’s health are at risk. Aging homes will eventually need to undergo water and sewer inspections to ensure that your water is running safely, effectively, and free of toxins. Action Jackson Plumbing is proud to be your trusted plumbing company in Edmonds, delivering Top Rated Local® plumbing services in an honest, affordable manner. Our certified and insured plumbing contractors have the experience and equipment needed to provide comprehensive solutions for Washington homes. Today, we’ll continue to highlight the dangers of old pipes in your home, as well as the value that sewer inspections can provide in bringing you peace of mind. 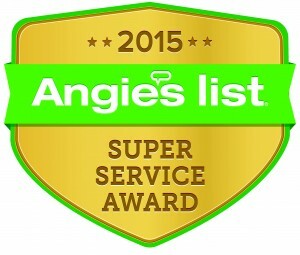 Call us now to schedule your inspection! One sign of outdated plumbing is the frequent occurrence of clogs. 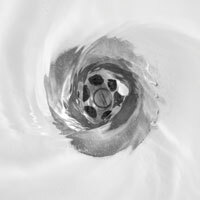 Regular drain cleaning services can do much to free the blockage, but keep in mind that professional plumbing services can only do so much. The reason for your clog is buildup. Sand, grease, dirt, dust, grime, and other contaminants are constantly being transported throughout your sewer system. Over the decades, this debris can begin to accumulate and build, blocking water flow. Action Jackson Plumbing can provide roto-rooter services, but we will let you know if the age of your pipes is a more pressing concern. Water that comes out of the tap looking cloudy is normally not a concern. In most cases, this is due to pressurized water creating numerous air bubbles within. If your tap water does come out brown, orange, or any other color, it is important to seek out immediate help. Sediment, including rust, is often the cause for this discoloration. Our plumbing company is here 24/7, so be sure to call us if you notice discoloration in your water lines! Moisture in the basement may sound commonplace to you, but minor leaks can be indicative of future problems. It is important to remember that most water and sewer lines are under intense pressure, as these pipes rely on this pressure to move liquids in and out of your home. A small leak may be a minor nuisance, but keep in mind that this will only get worse. Leaks can prove valuable in highlighting a plumbing problem before it becomes a plumbing disaster. 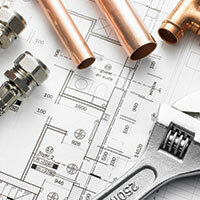 Our top-notch plumbing services include pipe repairs and upkeep to minimize the moisture in your home. The absolute worst-case scenario for any homeowner, pipe collapses are not entirely common, but when they do happen, the damage can be heavy. Action Jackson Plumbing is dedicated to our customers’ quality of life, and the last thing we want to see is a pipe failure in your Washington home. 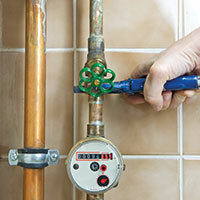 Be sure to call our plumbing company today to avoid the following problems! Flooding. Your basement will likely begin to flood, spewing out water until your main is shut off. If your pipes look like they are about to fail, we recommend sewer replacement services before you head out of town. Homeowners returning from a long weekend may find themselves in serious trouble! Lack of water. Beyond the massive amounts of water to deal with in your basement, you will now have no running water until plumbing repairs are completed. Many homeowners will find themselves in a hotel until the job is done. Water and mold remediation. H2O is necessary for life, but when left to stagnate in the home, moisture can quickly lead to mold growth. Remediation services will be needed to treat your home for water damages. Ruined property. Beyond mold mitigation, you may also be tasked with repairing the damages to your floors, walls, studs, insulation, electrical wiring, and more. Old homes hold a lot of history and charm, but their pipes and sewer lines are likely not holding up after decades of use. If you suspect your home is ailing from aging pipes, be sure to reach out to the Action Jackson team. Our plumbing company in Edmonds is available 24/7 for homes and businesses in need, so be sure to call us today for assistance!